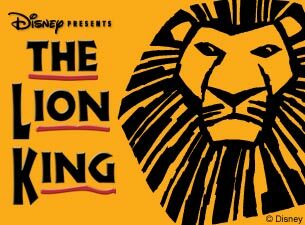 Disney’s The Lion King will be performing in Orlando at the Bob Carr Performing Arts Centre beginning on Tuesday, April 17th, 2012 through Sunday, May 13th, 2012. Disney released the theatrical version of the Lion King in 1994 and created an instant classic. With such serious themes of losing a parent, dealing with guilt and avoidance, the Lion King touched on a nerve with some of the tough situations so many of us are dealing with today. We want to say “Hakuna Matata” and forget about our worries but those issues will always be there until we face them head on. The Lion King Musical opened on Broadway 3 years after the theatrical release in 1997 and brought the world of Africa to Broadway. In the months of April and May in 2012, the Lion King will play in Downtown Orlando at the Bob Carr Performing Arts Center. Click Here for more information on other Broadway Shows playing in Orlando this year with an additional video of the Lion King musical. This entry was posted in Calendar and tagged activities, arts, bob carr, disney, downtown orlando, orlando, theatre. Bookmark the permalink. ← Where can I find the Leg Lamp from the Christmas Story Movie in Orlando?